Sampeng Lane in Chinatown is the best place to buy 100% cotton fabric at good prices. If you buy 10 meters or more, you get the wholesale price. It can be 1 meter of 10 different fabrics. Minimum cut, 1 meter. No bargaining, because it’s not a tourist place, it’s a wholesale place. Prices range from 3 meters for 100 baht ($1 per yard) up to 250 baht per meter (about $8 per yard). You’ll find Fabric Center in addition to many other shops, see Sampeng Lane Map. Opening hours are from 8:00 am to 6:00 pm. 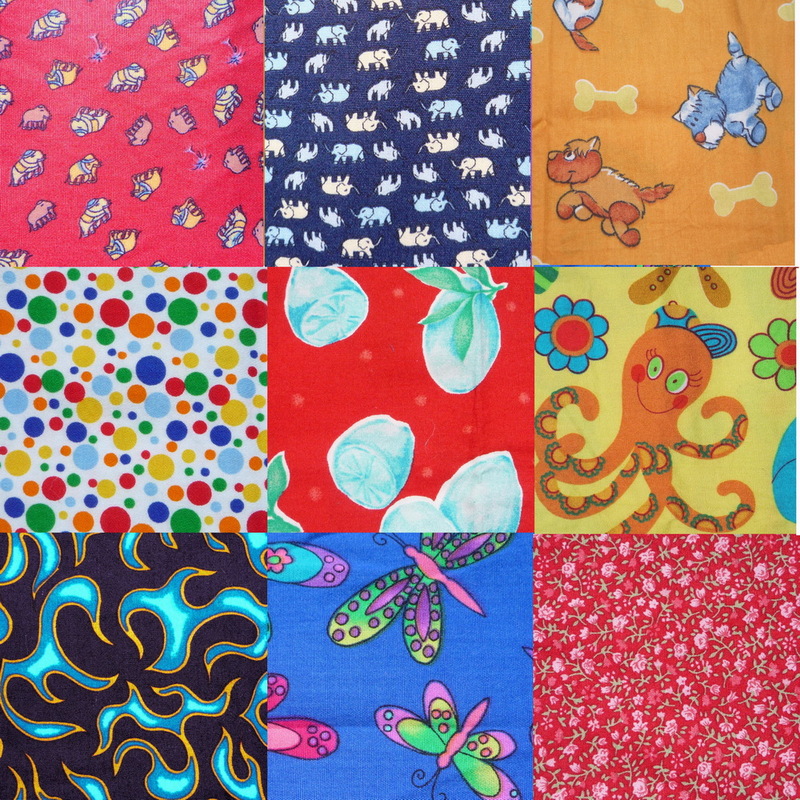 The following stores in Bangkok sell 100% cotton fabric. These are all branches of one company, and if you buy more than 2500 baht you get a 10% discount. Rotary cutters, blades and cutting mats are available at JCC stationery store on Narathiwat Road in the Silom area (business district). PINN SHOP mostly crafts and some quilting accessories, 500 shops nationwide including PINN Counter in The Emporium’s Stationery Section and one in Siam Paragon’s Handicraft Section. They have fusible web. 1. Bamboo basketry, bamboo canes/sticks, nursery/garden products, gift packaging, homeware products. Please visit our website (http://c-ic.co/ and click on the tab catalogue) to view our latest updated product catalogue 2017. We would like to discuss the opportunity to supply our products. Thanks in advance and looking forward to hearing from you. I am an avid quilter and owned my own Quilt and Fabric business in the US. I am wondering if there are any longarm quilters for hire here in Bangkok. Eek. I’m traveling to Bangkok for a medical appointment and I can’t wait to explore Sanpete lane. Thank you for posting such wonderful information. thanks for all the information about buying fabrics. There is a market for cotton knits in Suksawat, Bangkok. Hoping you can help me. I’m wanting to buy digital print chiffon or silk/chiffon. I’m heading to Thailand in a couple of weeks and hoping to purchase quantities for our kaftan business. There’s lots of chiffon at China World mall in Pahurat. I only saw polyester chiffon. There are hundreds of shops though. There are silk shops at The Old Siam mall nearby, but I only saw heavy silks there. Where can I buy felt? I wanted to make Chirstmas stockings for my children but didn’t know where to get them but didn’t want to go all the way to CHina town just for that. I live in Minburi so if anyone knows a place close to MInburi, that would be good. Id prefer not to go down town if possible. If anyone knows of a shop at Bangna that would also be fine because I am planning to go there. hi Jill, id like to ask if theres a shop in bangkok that sells sewing materials, like cutting mat/rotary mat? thank! For the big mat 24″ x 36″ they have those at JCC Stationery, it’s in walking distance of the Chong Nonsi BTS. From the BTS take exit 4 walk down Narathiwat Rd and it is on your right before the end of the road – the road ends in a T with Surawong. They have rotary cutters and wholesale boxes of blades. Other than that there is Pinn Shop which is located in most malls. And there is Twee Shop Asoke 2/3 Sukhumvit 16 tel 02 229 4431 open Mon-Fri 8:00 am – 8:00 pm, Sat 10:00 am – 7:00 pm, and Sun 10:30 am – 7:00 pm. Also Tang Hua Seng department store at Khao San. You have to ask someone where Chinatown and Pahurat are. Hi I am looking for some good cotton fabric for quilting . Some jelly rolls . some cutters and scale and cotton batting too . I am leaving tomorrow midnight . Pls help . How much price if I buy 10 meter and above ? Hi there, very good site for fabric shopping in BKK. I want buy Viscose/Polyester Mix or Rayon/Polyester Mix or Microfiber (like MicroModal AIR from viscose or Microfiber from polyester/polyamide). Someone know some fabric shop in Bangkok? Thanks in advance. This is avery good and popular shop and they speak english too. That is a good shop. My son bought cotton knit fabric for tee shirts there, and he was very happy with it. Hi there, this site looks very interesting. I am looking for viscose-polyester mix fabric or rayon-polyester mix or micro-fiber fabric like MicroModal AIR what is same micro fiber viscose or micro fiber from polyester/polyamide. I need this for pants and shirts. I never see before in Thailand. Is there some fabric shop in Bangkok? Thanks in advance. Hi there, Any idea on how to contact the fabric businesses in Thailand via email at all? In Thailand mailing is not very common. Moreover, most of retailers can’t speak nor write in English. My advise is you to come over or ask someone in place to do the “shopping” for you. Also it is possible to search for an intermediate in town who knows how to deal with the retailers and get a better price. Thank you for the information. I am a newbie in sewing and barely just got my machine running……. Any suggestion on threads? Lots lots of threads. im looking for flannel and cotton knit fabric in Bangkok. U know where can i get those material?. Hi Jill. I think you are the best in describing fabrics shopping places. Thanks because when I went to Chinaworld fabric outlet I felt like I was in heaven. You are living in Bkk, right? Do you know somebody who loves patchwork and quilting in Pattaya? I’m living there. Bye bye. Hi Jill, I am looking for silk dupion (or similar) to make a large wall hanging and a quilt. Can you advise me where I might find this fabric? Try ‘The Old Siam’ Plaza in Chinatown. There are several silk shops there. where in Bangkok can I buy the best fabrics for making children /women handkerchief? We sell cotton muslin and cotton poplin wholesale. The muslin is perfect for handkerchiefs. We have 50 running colors in the muslin and 30 in poplin. Color catalogs are available. We are located in a long (650 Meters) winding soi near Tha Phra intersection, about 20 minutes across the river from Sampheng. Warehouse/Office in one place. Great information!! Do you know if any of these shops have websites to order from. Thanks again for the great info!! Hi, great site and wonderful resource for a newbie at fabric shopping in BKK. May I know if its safe to travel alone with a bb? Any good rest stops to suggests? Would traffic be a nightmare if I am going to leave around noon? Thanks in advance! Traffic is bad during morning and evening rush hour. Around 4:00 pm traffic in the city starts to get jammed. Noon should be good as to traffic. It is safe to travel alone with a baby. I suggest going to Chinaworld mall in Pahurat, used to be Central Wangburapa. It’s air conditioned, has a food court and restrooms, and it has all the fabric a quilter or crafter would ever need. You could easily spend a day there. The shops at Chinaworld moved from Sampeng Lane, so they are authentic wholesale fabric shops. Must see – Kimono house floor 1 near elevator for fabric. Nearby you can walk over to Sampeng Lane but it is difficult to maneuver with a baby – you could not take a stroller on the walking lane with people pushing and shoving and motorcycles going through. Have a nice shopping trip with bb! I am currently living in Bangkok and I am looking for heavy fleece or polar fleece fabric. Have you seen any shop in the Bangkok area that sells it? I will probably be buying at least 2 bolts. thank you so much for setting up this site. Thank you very much for the addresses. I am especially looking for oil cloth or laminated cotton. Do you have an idea where I can buy this in bangkok? Could anybody tell me, where can I buy matress, pillows n cuddle for massage n spa in BKK in a cheaper price? Thank u so much. Hi, do you know if any of the fabric shops you listed have websites? Thank you for the information. I visited some of the shops mentioned here, and they actually had great selections of patterns. I am wondering if they can also actually make something out of their fabric as well, or only selling fabric. I am now trying to have bedding for my baby customized and I am looking for a tailor who can make them. Do you know any place who can do the work for me? I have an idea/picture of what I want. I need to get fabric and find a tailor to do it for me. Thanks you so much again for the information! Thank you so much for information about where to shop fabric. This has been my best shopping-day ever. I am in love with Bangkok! Next time I have to buy more fabric and buttons and….and use a post office to send it home. I have to put some of the fabric in my dear husband’s suitcase. He has been with me for hours to carry today.